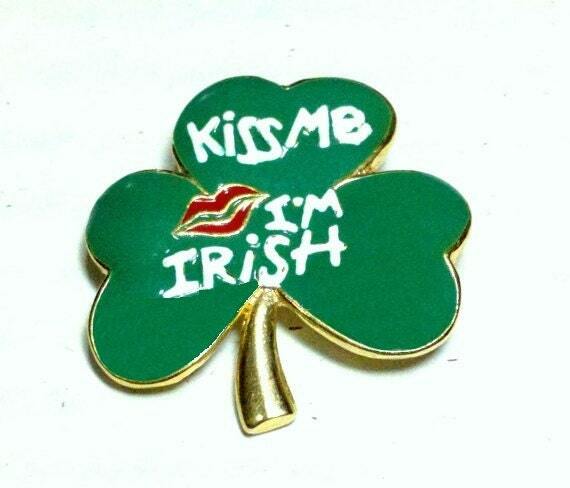 Kiss Me I'm Irish shamrock brooch in white on green enamel with red lips SFJ signed. 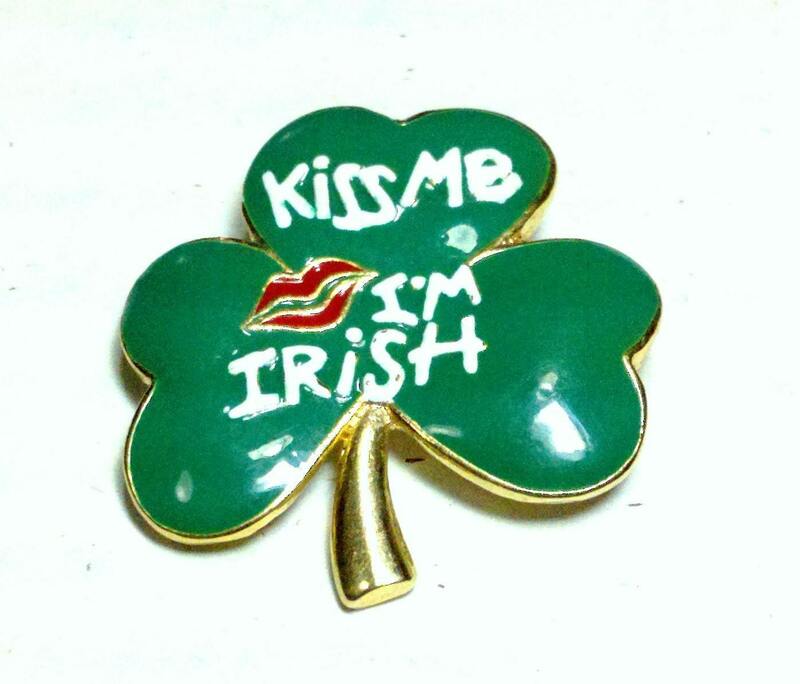 This lovely will show off your Irish for St. Paddy's day or any day at all. Sure and it's the wearin' of the green. It measures about 1 1/2" x 1 1/2" Some small chips in the white paint, see close up. If you want to save this item for later or make a ‘wish’ list to share with others click on the ‘favorites’ link next to the ‘add to cart’ link. 3. 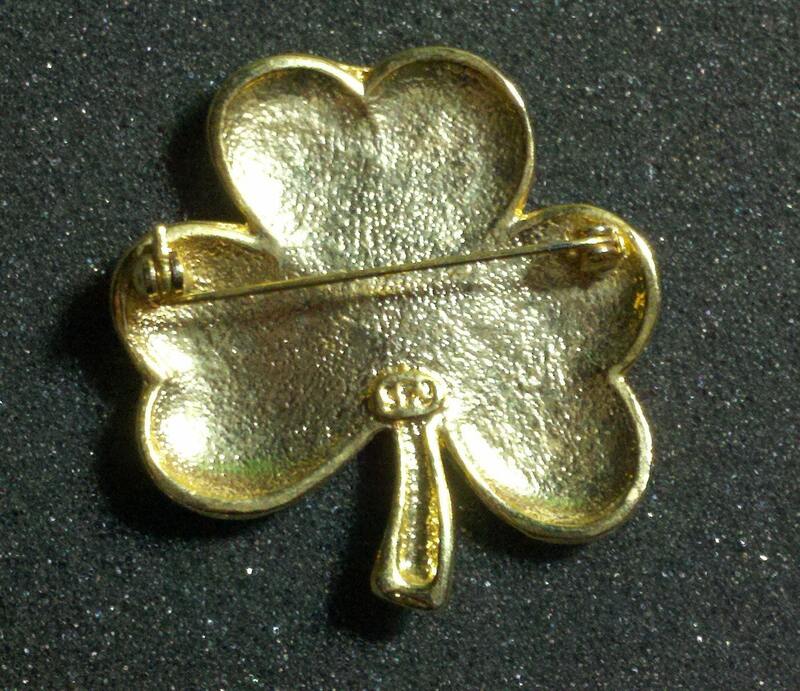 Add on items only have free shipping in the United States when added on to another piece. If you are out of country and your package is small enough to lower shipping, I will refund any difference over $1.00, after insurance.